How a crashed website prompted some useful questions about where my creative work lives. How my websites broke, and how that could have been avoided. My three websites: Verbal To Visual, The Graphic Recorder, and this site, all hosted with Bluehost. Where Verbal To Visual videos live: my YouTube channel, Facebook page, and Wistia account. The new course that I’m building (that I prioritized instead of an immediate tech fix! ): Build an Online Course with Sketchnotes. My short-term solution for paying customers, and a look at where all of my creative assets actually live. Where the audio files for this podcast live: Libsyn. My biggest concern: folks that have picked up one of my courses and couldn’t access them in the normal way. My short-term fix: using my email provider (ConvertKit) to send out emails with direct links to videos and PDFs just to those folks who had purchased a course. A platform that allows for the creation and selling of online courses that I’ll be looking into: Kajabi. 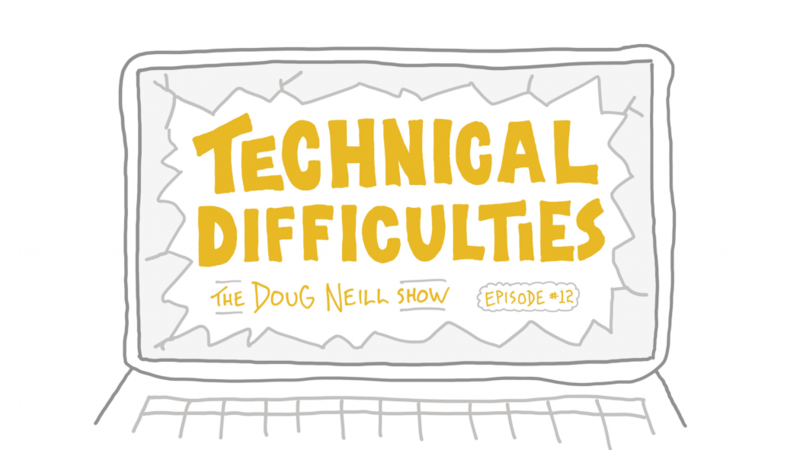 The four lessons that I learned from facing these technical difficulties. This was a good opportunity for me to put my mindfulness skills to use, which I’ve been focusing on this year. The external technology that I’m leaning on while building a community and building resources connected to this podcast: Patreon.